Suppose you are investing heavily in your ecommerce website to reach a wider audience. Your ecommerce business ranks well on search engines and visitors also come from various social media platforms. In such a scenario, one would definitely expect the conversion rate to go up. However, if the checkout process of your store is poorly built, you may face an increase in cart abandonment rate and all your efforts will go to vain. To help you avoid such situation, we have compiled reasons (with expert tips) and best practices to reduce your store’s shopping cart abandonment rate. Imagine you have added a product to the shopping cart and as the transaction is in the process, the website crashes or is taking too long to respond. According to statistics, nearly 22% potential buyers abandon their shopping cart due to technical problems. 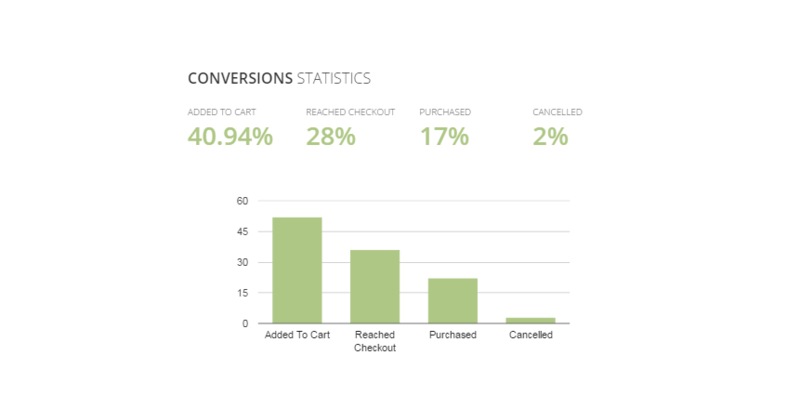 Such scenarios drive customers away and result into an unwanted shopping cart abandonment rate. Ecommerce stores face tough competition due to the presence of a large number of competitors. According to Baymard, nearly 61% people abandon their shopping cart if they find hidden costs such as shipping, tax, and other fees to be very high. Be transparent about extra costs like shipping, additional order, tax, etc. There are many people who casually surf ecommerce websites to see different products. This can be compared to window shopping in the real world, where a person does not buy anything but just casually strolls through the market. Such buyers also contribute to increasing the shopping cart abandonment rate. Reason could be change of mind, verifying discount code, checking how much discount they will get, and so on. There are times when an ecommerce website fails to convert the potential buyer. In such cases, a person half-heartedly adds a product to his / her shopping cart but drops the product just before the final checkout step. In most cases, when a buyer goes through bad user experience, the probability of him / her leaving for a different ecommerce website increases. The reason can be poor customer service, lack of promotional offers, and other value-added marketing initiatives. In different markets different modes of payment are preferred. For example, in most developing nations “cash on delivery” is preferred, whereas, in developed nations, credit cards & digital wallets are more popular modes of payment. Most shoppers leave ecommerce websites if they are not sure about its security. Most websites use security seals and other trust-building elements to ensure that the buyer trusts the website, which eventually helps improve the conversion rate and sales figure. There are times when a buyer wants to add multiple products. In such cases, “Continue Shopping” button comes to use. It lets buyers save the product in the cart and proceed to browse the website & buy other products. Furthermore, by accompanying the delete button in the shopping cart, you can greatly improve the convenience level for the buyer. Based on the data obtained from Analytics, you can figure out which part of your website or business strategy needs improvements. By using the knowledge obtained through above-mentioned points, you can easily be on your way to find solution for shopping cart abandonment on your ecommerce store and bring more sales to your business. 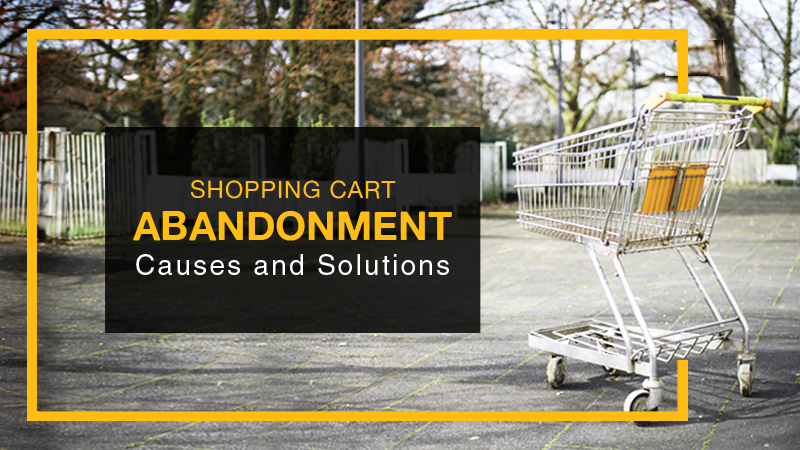 If you still have an unanswered query about how you can keep cart abandonment rate to a minimum, just share it in the comments below and we will reach back to you with a solution. How would you deal with the already abandoned carts? As mentioned in the post, you should analyse and work on the reasons for cart abandonment and try to find out visitors who didn’t complete the checkout process. Re-targeting these visitors with offers using email marketing and advertisements are few ways to handle abandoned carts. appreciate it for all the great blog posts.